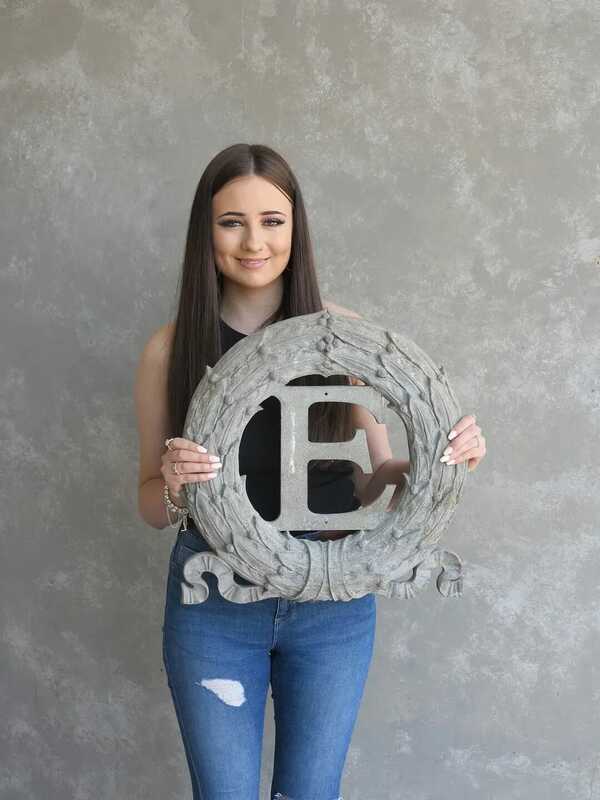 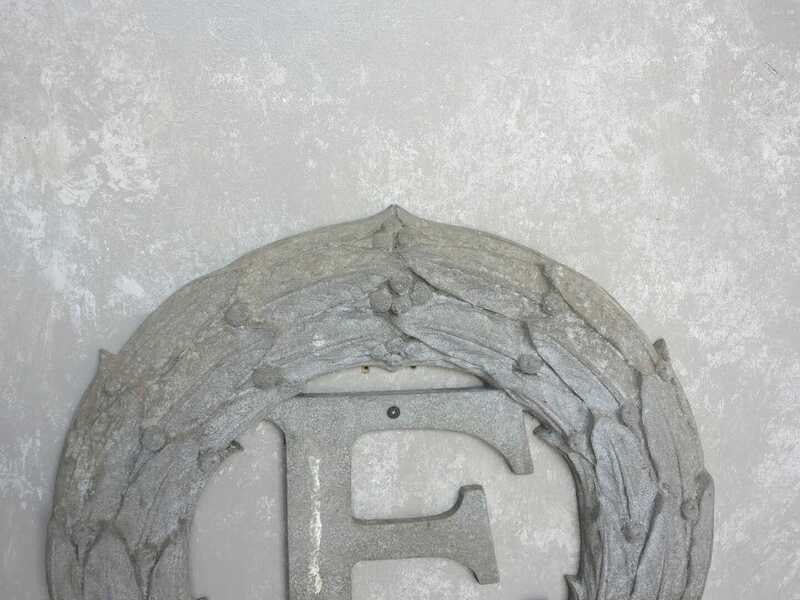 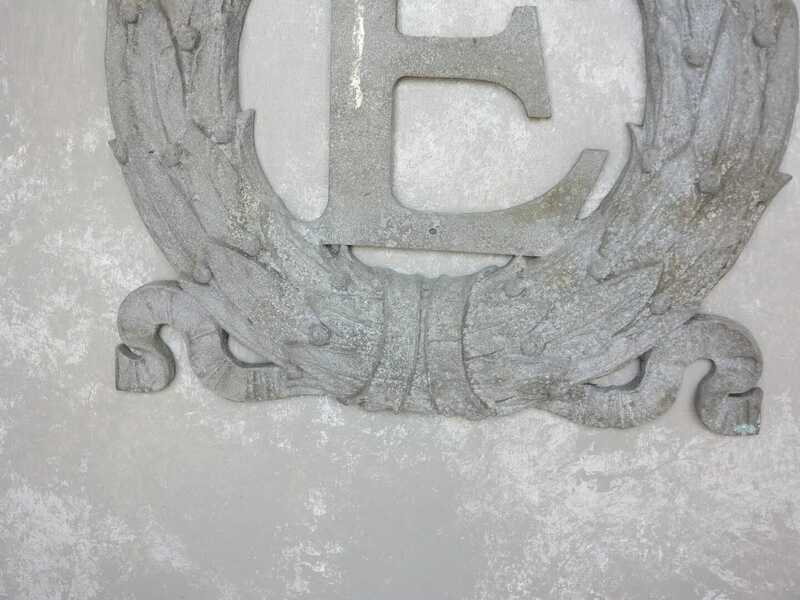 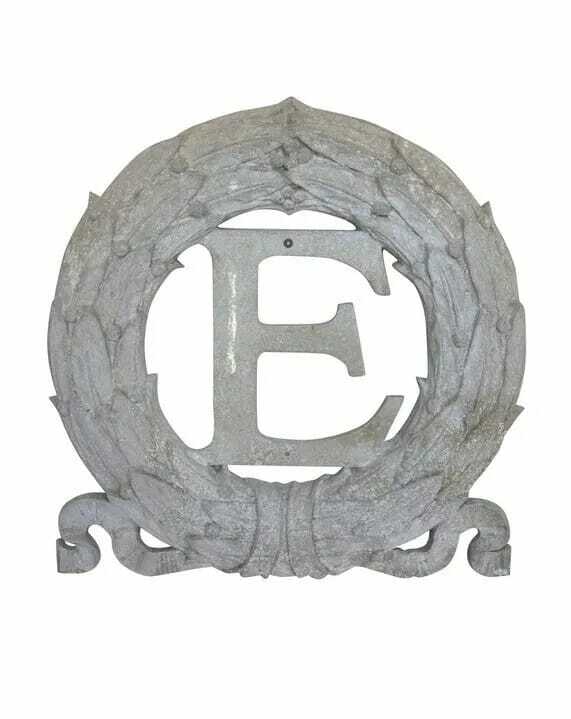 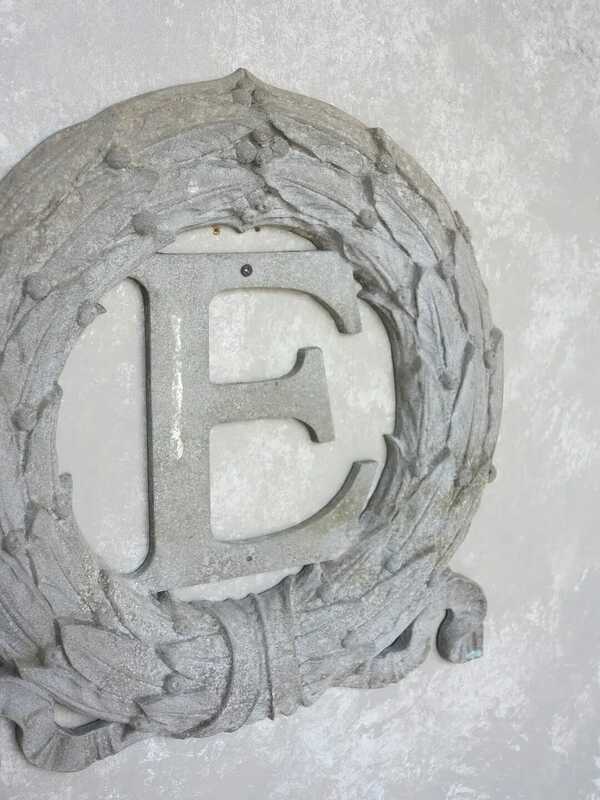 Original cast Zinc letter E sign. 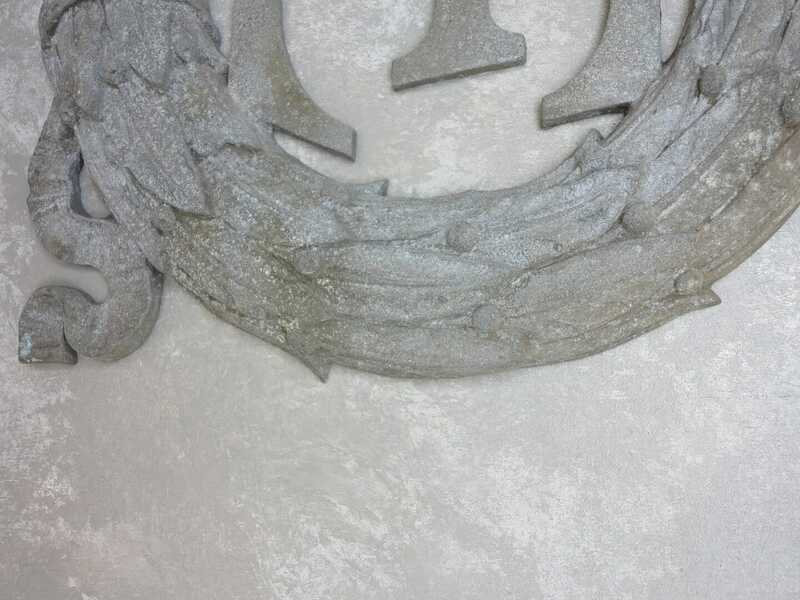 The laurel wreath is a sign of victory and honor. 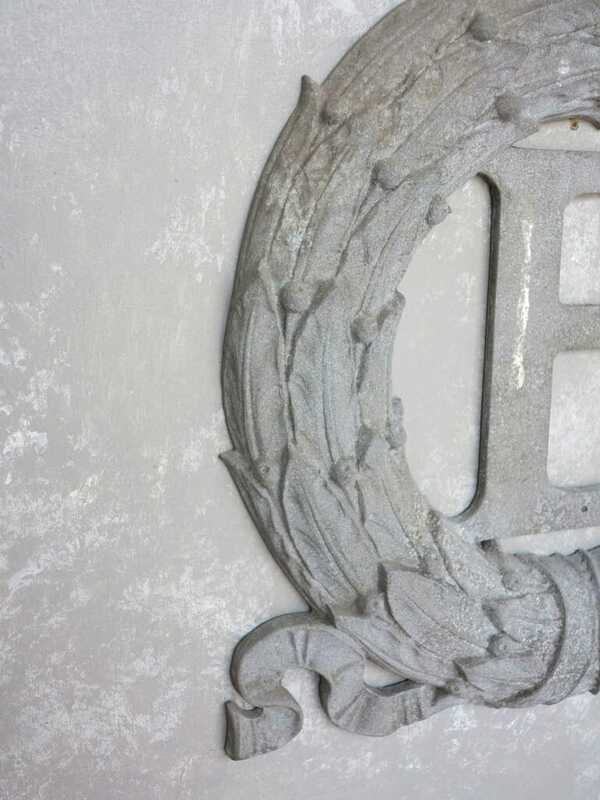 This measures: 19" Tall x 18" Wide x 2" Thick.